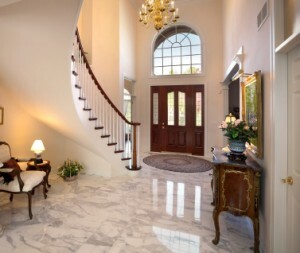 A commonly overlooked home project involves tile and stone floor cleaning. Floors must be clean and free from visible chips and scratches. Homeowners are judged by the cleanly conditions of their homes. They should not just keep things neat and in order because guests will arrive. 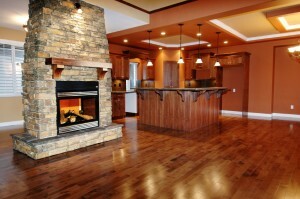 Some individuals prefer to own different varieties of natural floor materials. Tile and stone cleaning tasks are not as simple as they may think. In that case, they need to work with our cleaning professionals. Floors must be installed and sealed properly. Cleaning is no less important. 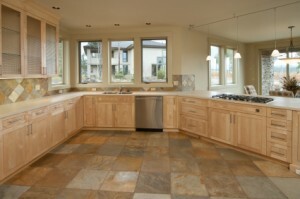 The stone’s stain resistance is important for safe daily use. Certain chemicals and liquids can infiltrate the stone and make the stain removal harder. Effective tile and stone cleaning is hard work that consumes time and energy. Any type of cleaning is tedious, and if the work is done incorrectly, it is frustrating. Many times, our professional cleaners are needed because large areas of floors must be cleaned. We use sophisticated chemicals and machines to penetrate these floors. Years of accumulated dirt and debris are not always easy to handle for homeowners. Stone and Marble polishing has come a long way with technology and other innovations. We can now do jobs that took three days and do them in one day. We can usually do it greener and safer for the home owner. Our pride shows when we use the latest innovations in the industry. Wood floors are an investment in your home. And just like with carpet they need to be properly maintained so they can last for decades to come. Their welcoming warmth and will always be in style. Thorough inspection of your floor to look for potential trouble areas. Vacuum floor to remove dust and large loose particles. Deep clean your floor using specialized equipment and cleaning solutions. The powerful equipment loosens embedded dirt and residue trooped deep within the finish of your floor. It is then removed with a high powered vacuum. A detailed hand cleaning follows in order to reach edges and corners. Using neutralizing solution the floor is cleaned a second time to give the best shine possible. This also helps the floor stay cleaner longer. Then we inspect the floor and discuss results with the homeowner. We also offer a Hardwood Finish Refresher that adds an extra layer of finish protection to enhance the sheen and beauty of your floors.